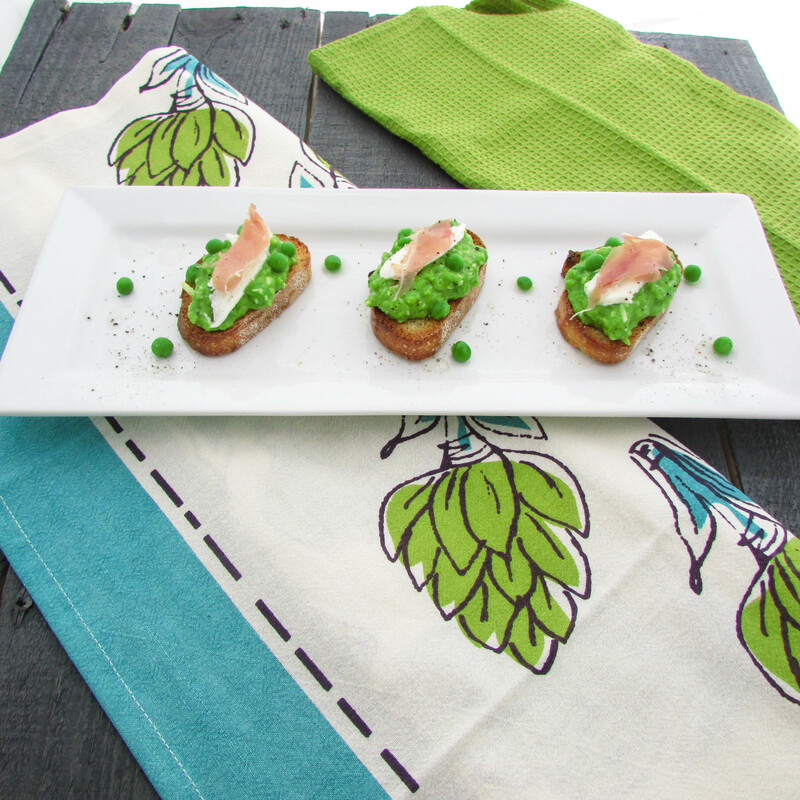 Are ya’ll ready for a delicious, easy, “make & take” appetizer recipe? Often times, I’m asked to bring an appetizer and always struggle to come up with an idea. Think no more- this is a crowd favorite and travels easily- the perfect answer to the never ending dilemma of which appetizer to make! This Spring Pea Pesto would be delicious on its own but the colors of the Italian flag inspired me to add fresh mozzarella & prosciutto. Allow the peas to defrost if you are using frozen peas; otherwise your fresh peas are ready to go. In a small food processer or blender, place all of the above ingredients & blend well together. Taste your pesto, you may need to add more salt and/or pepper based on your taste. If the consistency is too thick, you can add a little olive oil and/or lemon juice. Stir in the reserved whole peas. 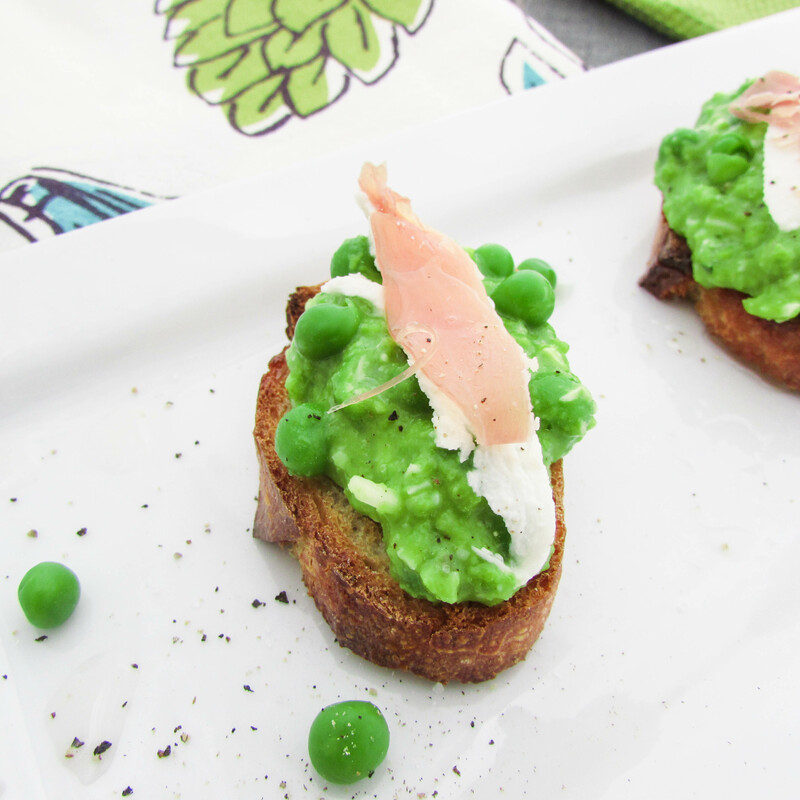 Once you are ready to assemble, place a generous portion of pea pesto onto each bread slice & then top each one with a slice of mozzarella & prosciutto.